While the announcement that General Motors is selling its Hummer line to a Chinese manufacturer brought a collective sigh of relief that another major U.S. brand would be spared from collapse, here in China the first ever purchase of a U.S. auto brand by a Chinese company raised a number of questions. Chiefly, who is this mysterious buyer, Sichuan Tengzhong Heavy Industrial Machinery Co.? And what does it want with a brand largely derided as a symbol of GM’s financial troubles and the failed scheme of pushing fuel-inefficient cars in a time of increasingly green consciousness? Prior to Tuesday’s surprising announcement, Tengzhong, a company that is a mere five years old, was a largely unknown manufacturing company based in Chengdu, the provincial capital of Sichuan. Specializing in heavy machinery for road construction, plastics and other industrial products, Tengzhong was not a heavy hitter in the Chinese automobile industry. In fact, it was a non-entity: its previous entry into the vehicle market is a dump truck. The Hummer line will represent Tengzhong’s first foray into the personal automobile market. Despite their inexperience in auto-making, it was no surprise to many auto industry insiders that a Chinese firm would be the eventual winning bidder. "It was largely anticipated that Chinese firms would have interest in purchasing assets from the Big Three, but the real surprise is that it would first be this [Hummer] asset and would come from a company that just one day ago was largely unknown outside of Sichuan province," Bill Russo, former vice-president of Chrysler’s Northeast Asia division and now president of Synergistics Ltd., a China-based auto industry-consulting firm wrote in an email to NBC News responding to questions about the purchase. Pointing out Tengzhong’s lack of experience in the auto industry, Russo noted, "This is an organization that will pretty much rely completely on those who remain in the Hummer organization to run the company because they do not have people, to my knowledge, who can replace them." Tengzhong is not alone as a Chinese car manufacturer lacking experience. China’s automobile market is still very much in its infancy with dozens of small Chinese companies competing to break into this lucrative and increasingly growing market. In fact, as NBC News reported earlier this year, one of China’s largest domestic car manufacturing companies in China, Build Your Own Dreams Auto (BYD), started out as a small battery manufacturer before diversifying into cars, proving that the path to market dominance in China can come in the most unorthodox ways. Skeptics note though car manufacturers like BYD were at least involved peripherally in auto-making via their advanced development of battery technology, Tengzhong truly is starting from scratch. "It isn't obvious to me right now how a Hummer acquisition and entry into the automotive sector represents a logical extension for a company like Tengzhong," Russo noted. "Based on what I know now, I cannot even remotely find similarity between the Tengzhong case and what BYD is doing." Tengzhong clearly sees a benefit from this merger though. The company appears intent to bring Chinese technological expertise to an aspect of Hummer where it has been roundly criticized: green tech and fuel efficiency. In a statement earlier this week from GM, Tengzhong’s chief executive, Yang Yi, said they will be investing in research and development to make more fuel-efficient vehicles for sale in the U.S. Entry into the U.S. and other western markets has been a direction that a handful of Chinese automakers have been working towards and the purchase of an established western auto brand is seen as a viable way to break into those markets. However, for most Chinese automakers, large and small, jostling for position in the wide-open China auto market remains the primary goal. In this sense, upstart Tengzhong’s Hummer purchase allows it to make a splashy entry into the domestic market with an international brand that is surprisingly well recognized and well regarded in China. In the past few years, the blogosphere here in China has been awash with stories of motorcades of Hummers being purchased by newly moneyed Chinese and being used for lavish weddings parties. Just like in the U.S., in China the Hummer represents a masculine car that appeals to an increasingly opulent niche market – a market that still has millions of new first time car buyers. In 2008, domestic car sales were around 9.38 million units, and sales for the first quarter of 2009 show a robust 2.7 million vehicles were sold. Despite the economic crisis, the Chinese government has offered generous tax breaks to encourage car sales. While Tengzhong purchase of Hummer does not seem to fit in with China’s vision of greener cars, it will still likely be supported by Beijing for the technological boost that it will provide China’s fledgling auto industry. BEIJING | With American car makers on the ropes, speculation has run high that China might soon take over the world auto market, but analysts say China's technological base and consumer mentality makes that unlikely. More than two-thirds of the cars sold in China are foreign brands; General Motors Corp., which declared bankruptcy Monday, has the largest share of the Chinese market -- more than 12 percent last year or nearly 1.1 million cars. What's more, Chinese cars need to become relevant in their own market before they can be taken seriously abroad, said Bill Russo, former vice president of Chrysler LLC's Northeast Asia office and now head of China-based auto industry consulting firm Synergistics Ltd.
"It's like a giant baby," he said. "It's really big, but it hasn't matured yet." Big numbers -- like the record 2.7 million vehicles sold in China in the first quarter, a 4 percent jump over the same period last year -- have led to speculation that China's production will soon surpass Japan's. Although China's car manufacturers may soon lead in quantity, specialists say, they have a long way to go in terms of quality. China could compensate in part by buying up ailing foreign brands such as GM's Saab or Ford's Volvo, but that would have a bigger impact on the domestic market than on global sales. "An investment in Saab or Volvo will give Chinese manufacturers a massive boost in technology, which would push them to the forefront of the Chinese car industry within a very short time," said Ash Sutcliffe, who runs the Web site China Car Times. Before a Chinese car company can become a global leader, however, the domestic market needs to consolidate, Mr. Russo said. About 20 companies now account for 95 percent of the market and 130 more hold about 5 percent. "There needs to be an elevation in the capability of domestic manufacturers to do more than just assemble cars," said Mr. Russo. "China can become a more significant voice in auto development, but to say China is the center of auto development is an overstatement." Mr. Russo said several companies are making technological strides. He cited Chery and Geely as examples, but any Chinese-branded auto company that wants to crack major markets abroad still would have to get past the "Made-in-China" factor, he said. "Korea and Japan went through this learning curve," said Mr. Russo. "Korean cars are no longer considered cheap; they're considered value for the money. Japan started out making cheap cars and then eventually became the quality standard. China has a long way to go to get to that point." One area where China could make a great leap forward quickly is in the realm of electric cars. In February, the government pledged to subsidize the purchase of more than 60,000 hybrid and electric vehicles in 13 major cities, including Beijing, Shanghai and Shenzhen, by 2012. Beijing alone this year is set to spend $190 million to purchase nearly 1,000 hybrid and electric buses, and Shanghai is expected to announce similar spending to upgrade its bus fleet ahead of the 2010 World Expo opening there in May. "There's no global leader right now in the electric car market, so China sees this as an huge opportunity where they can finally become a leader and overtake the Japanese, German and U.S. car markets without having to always play catch-up," said David Vance Wagner, a policy adviser at the Vehicle Emission Control Center, a research institution at the Chinese Research Academy of Environmental Sciences in Beijing. "This is an area where China says, 'Hey, we're going to reduce our oil dependence, we're going to do a lot of good for urban air pollution, probably reduce our greenhouse gas emissions, and we're going to promote the innovation of a pillar economic industry that we can export to the rest of the world.' " he said. Though the subsidies will be used initially for government vehicles, they'll eventually be extended to taxi fleets and purchases by private consumers in all 13 cities. The municipality of Chongqing, which has more than 33 million people - or about the total population of Canada - already has announced that it will give more than $5,000 to people to purchase locally made Jiexun hybrids from Changan Auto Co. The hybrids normally retail for about $20,000. China also is providing "support to infrastructure like plug-in terminals or battery-swapping stations," Mr. Russo said. "These types of projects might flower here before they flower in places like the U.S."
A report from Roland Berger Strategy Consultants recently predicted that as much as 50 percent of China's domestic auto sales could be in hybrid and electric cars by 2050. A McKinsey & Co. study in October said that China's domestic market for electric vehicles alone could amount to between $102 billion and $219 billion by 2030. The Chinese government has estimated that China could have the capacity to produce 500,000 hybrid and electric vehicles within the next three years. Still, the Chinese auto industry research group CSM Worldwide issued a report recently saying that electric and hybrid cars would make up only about 1 percent of China's domestic sales volume by 2015, or about 100,000 sold annually. Current sales figures for hybrids in China are so dismal that a recent headline from the state-run newspaper People's Daily referred to them as "embarrassing." Only 2,617 hybrid cars were sold in China in 2008, according to government statistics. "It is absolutely obvious that Chinese consumers are mostly interested in cheap vehicles," said Thibaud Voita, an alternative energy auto researcher at the Asia Center in Beijing, a European think tank. "If the consumer wants an expensive car, the consumer will get a foreign car, and not a hybrid car." In the first three months of this year, Honda sold just one hybrid car in China. GM is hoping the market will be better by the time it launches is Volt electric car in China in 2011. At the moment though, clean-energy cars are still priced beyond the reach of most consumers, and those with the purchasing power to buy expensive cars typically aren't environmentally aware. One domestic company has promised to deliver an inexpensive, mass-market electric car to China. BYD (Build Your Dream), a battery company turned car manufacturer, is located in Shenzhen in southern China's Guangdong province. BYD has developed an electric vehicle called the F3DM it hopes to sell both at home and abroad, and has received some backing from mega-investor Warren Buffett. Though BYD has had a lot of press lately, it still has a long way to go. Only about 100 F3DM cars have been sold in Shenzhen, and these only to government and corporate buyers, a BYD spokesman said. BYD planned to start exporting the F3DM to the U.S. in 2010 but has had to push that to 2011. Consumers have posted on public forums concerns about the safety of BYD's standard engine cars, mainly relating to malfunctioning air bags. Analysts say privately that BYD electric cars could have battery problems, though any Chinese car imported into the U.S. would have to pass more rigorous tests than they do in China. Other issues that could hamper the growth of electric vehicles in China are slow development of the infrastructure to support them, such as a lack of electric power in some areas. China also has no national standards for such things as plugs, voltage, batteries or charging stations. The American automotive industry has met the hard realities of the 21st century. The Chapter 11 bankruptcy filing of General Motors (GM) on June 1st, just one month after Chrysler entered US bankruptcy court, represents a defining moment in a long and once-proud history of an iconic American company. Automobiles and the industry that produces them are in fact woven into 20th century American history and culture. It is an industry that has brought forth remarkable innovations, provided jobs for millions of middle-class people, and offered individuals and families the chance to experience the freedom of the road. Founded in 1908 by Billy Durant, GM dominated the American automotive industry as well as the American economy for most of the last century. In 1954, GM reached its peak of 54% share of the US market. 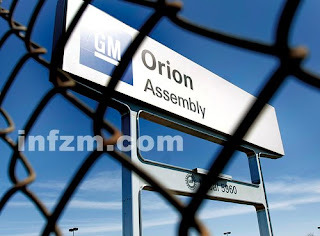 GM has also been a pioneer in the global expansion of the automotive industry, having been fairly successful in expanding their global footprint through acquisitions and partnerships. Acquisition of the British automaker Vauxhall motors in 1925, followed by acquiring the majority share of German carmaker Adam Opel in 1929, gave GM a strong European base. They added Saab to their European base in 1989. More recently, GM and its partner Shanghai Automotive Industrial Corporation (SAIC) have established a strong position in the rapidly expanding China market. However, GM has been on a steady decline in its domestic market over the past half-century, and the recent global economic crisis has accelerated the need for restructuring through bankruptcy. The story of GM’s rise and eventual fall offer important lessons for 21st century companies with global ambitions. The global car industry has long suffered from overcapacity resulting from overly ambitious assumptions for market growth combined with optimism surrounding whatever product or technology was being offered. Ambition and optimism are the first victims of a recession as businesses struggle to realign to a new era of fiscal conservatism. This translates into a major reduction in capital spending and asset sales as businesses attempt to adjust their size in order to regain a profitable footing. The financial crisis, which worsened in the 3rd quarter of 2008, has dragged the world into its deepest economic downturn since the Great Depression. A unique attribute of this recession is how quickly the financial turmoil has spread across the world as a result of global interdependence along with a synchronization of business cycles among these interdependent markets. According to a recent forecast from Global Insight, 2009 will likely witness the first drop in global GDP since the 1930s. In previous economic crises, the U.S. economy has always come to the rescue and restored hope to a troubled world. The $838 billion economic stimulus bill enacted in February is designed to create millions of new jobs and jump-start the economy. However, most experts do not foresee a recovery until 2010 at the earliest. Of course, the housing crisis and resulting credit crunch have made it more difficult for car dealers and consumers to buy on credit. On top of this, American consumers have become much more cautious in their buying behavior, preferring to spend less and save more than they have done historically. In the current economy, American consumers are placing a much higher priority on value-based products, which have much lower profit margins. The impact of this on the car business is immediate and significant. Car companies understand and are often prepared to handle many economic cycles – but the sudden loss of 40% of the demand from the US market was far beyond even the most pessimistic assumptions. Every carmaker competing in this market has suffered as a result. However, the impact on Chrysler and GM is catastrophic. The consequence of which is the need to fundamentally restructure both companies in order to shed non-performing assets. The near-term challenge is to restructure the business to regain an appropriate balance of supply and demand. The plight of the Big 3 in the US market is actually a decades-long story of the loss of domestic market dominance. However, many have been too quick to say that their recent troubles have resulted from “making cars that customers are no longer interested in buying”. While it is a historical fact that the Big 3 have gone from a combined share of 66% to well under 50% within this decade, it would be incorrect to say that this is a result of the consumer’s rejection of American brands. Today, Chrysler’s market share in the US is about what it was 20 years ago (roughly 10%). However, over the course of the last half of the 20th century, the Big 3 fell into a several traps that were largely a result of their prior success – especially for General Motors. Product Innovation Trap: GM was a company known for product innovations such as the electric starter, V8 muscle cars and “tailfin” styling. Companies should never assume that what worked in the past will work again in the future. Relevant product innovation is critical in the car industry. While blessed with one of the strongest R&D capabilities in the business, it became increasingly evident that GM was having difficulty bringing these innovations to the market. A noteworthy example of this was GM’s $1B EV1 electric car program, which never became a commercial success. Brand Trap: Alfred Sloan’s pioneering concept of “different cars for different buyers” was the centerpiece of GM’s early 20th century expansion – and this was perfect for an industry in its infancy. However, the cost of engineering unique products for as many brands as GM had in its portfolio became too great. GM’s reluctance to give up brands because of their historic value became a major financial burden. After GM’s sale of Hummer, Saab, Opel, Vauxhall and the wind-down of Pontiac, only 4 brands will remain: Chevrolet, Buick, Cadillac and GMC Truck. Business Model Trap: It can be argued that the mass production business model was Henry Ford’s innovation – but it was Alfred Sloan’s GM that realized its true potential. The introduction of the principles of business management at Sloan’s GM ultimately became the textbook for running a successful business. The failure to adapt these principles to an increasingly competitive and globally distributed world has contributed to GM’s decline. Legacy Cost Trap: In a new and growing industry, size is an advantage. Bigger companies have the ability to leverage scale and thereby lower costs for purchased goods, and can recover investment costs over a larger number of units sold. However, size brings fixed cost resulting from worker salaries, health care and other benefits, retiree pensions, and other general and administrative costs. Inflexible labor contracts make it difficult to adjust to new marketplace realities. On top of this, it is very difficult to match the costs of global competitors where such costs are subsidized by social benefits available in their country. Companies in a global industry will have difficulty competing against rival companies with workers willing to accept lower salaries for comparable work. Businesses hoping to grow and thrive in the 21st century global business environment would be wise to learn the lessons from GM’s ultimate failure to avoid the “Success Trap”. Chapter 11 is not the final chapter of GM’s story. GM has a core business that can in fact compete in the global auto industry. As noted earlier, GM was perhaps the first truly global car company. GM’s is well positioned and is successfully selling its Buick, Chevrolet and Cadillac branded vehicles in China. Ahead of the Chapter 11 filing, GM has already been able to renegotiate many of its debt obligations and fixed cost burdens with the support of the Obama Administration’s auto task force. Through the bankruptcy process, GM will be able to further eliminate non-performing assets including discontinued products and facilities associated with them. They also intend to adjust the size of their dealer network in-line with global competition. Bringing their overall cost structure in line with a new market place reality will allow GM to regain a profitable footing at a much lower breakeven point. Successful 21st century companies will be the ones that can quickly adapt to the reality of globalization. Noteworthy examples exist – such as Apple Corporation. Also an American icon, Apple has carefully deployed a business model that yields innovative products while leveraging the best and most cost effective resources from home and abroad. The US auto industry may have come late to the realization of the need for this fundamental rethink of the business model – but it is very possible that GM can rise from bankruptcy to once again be a formidable competitor in the global automotive industry. Popular China Newspaper Publishes "The Path To Globalization of China's Automotive Industry"
Link to English version originally published on this blog. Southern Weekend is one of China’s most popular newspapers, and is owned by the independent-minded Southern Daily Group(Chinese:南方報業集团) The New York Times described the Southern Weekend as "China's most influential liberal newspaper". Part II of this Link Up, Learn More interview explores sector cooperation between the US and China with insights from automotive industry expert, Bill Russo, who is also the Founder and President of Synergistics Limited, and Beijing Association of Automotive Manufacturers Chairman (and retired Chairman of Beijing Automotive Industrial Corporation) An Qingheng. In order to gain an informed understanding of the US-China relationship, it is imperative to seek perspectives from both sides of the globe. This interview with Chaiman An and Bill Russo aims to do just that.